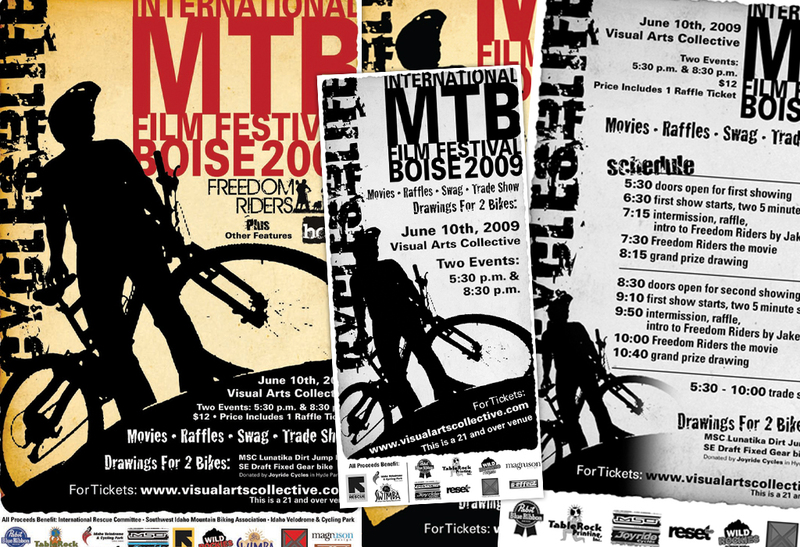 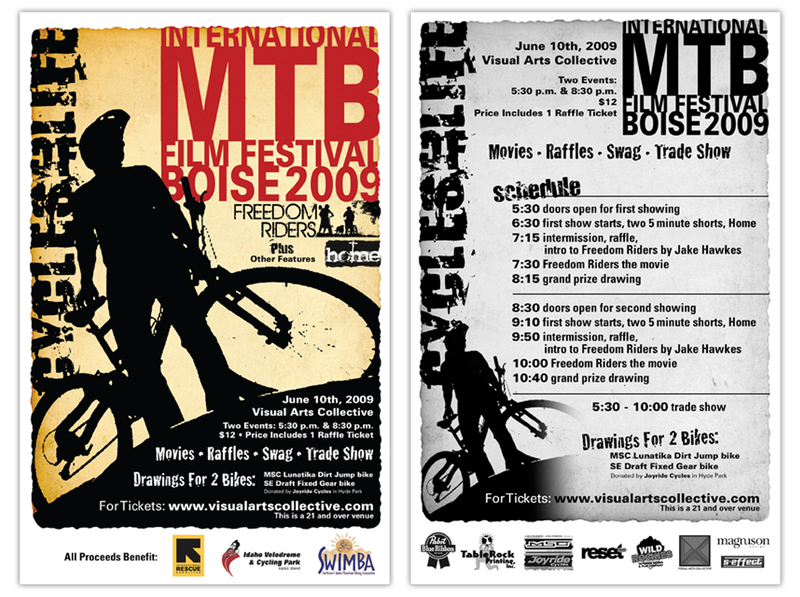 In 2009, working with several local organizations, Magnuson Design helped to develop the International Mountain Bike Film Festival which debuted on June 10th, 2009. 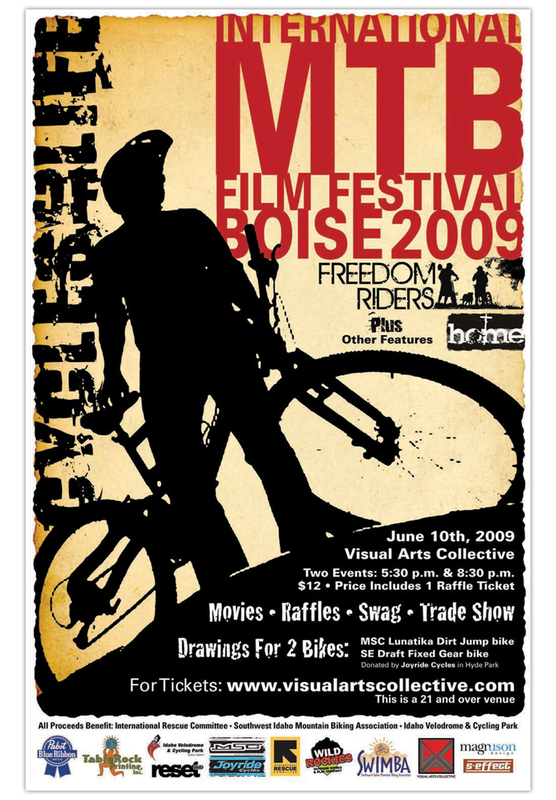 As the acting creative director for the event, we handled the marketing collateral, advertising and event materials, as well as fundraising efforts. 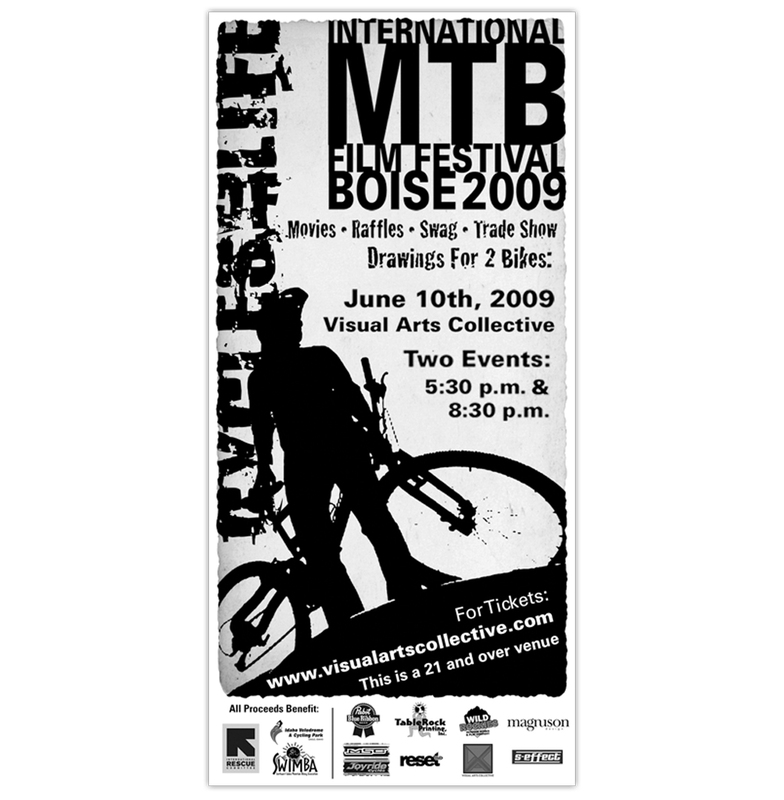 The successful event raised money for the International Rescue Committee, SWIMBA, and the Idaho Velodrome and Cycling Park.